Bobbin winder for the PR (Multi needle) series. 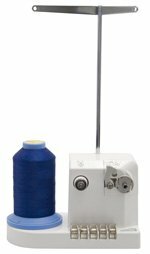 Set your bobbin thread vertically on this stand and wind bobbins on this independent bobbin winder. Perfect for customizing bobbin thread colors.